Attention Deficit Disorder (ADD) affects 8-10 (500 million worldwide) and is a growing health concern, leading to a broad range of problems including substance abuse, college failure, and obesity. ADD is often misdiagnosed, sometimes over-diagnosed, and mostly underdiagnosed because professionals lack objective, reliable tools to assess an individual’s attentional status. Furthermore, parents/adults fear medication treatment of ADD without having an accurate diagnosis or way to objectively determine its effectiveness. 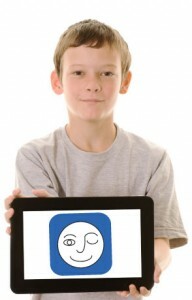 Obsevera’s FACES is the online version of a straight-forward, non-language based visual problem solving task that employs a distinctive feature analysis methodology to objectively assess attentional abilities and executive functioning and determine the risk and enhance the treatment of ADD in individuals ages 5 to 95. FACES can be self-administered or facilitated by a trained examiner via a tablet or touch screen computer. It takes 10 minutes to complete and generates both consumer-friendly and professionally sophisticated reports. An existing paper version of FACES has enhanced diagnostic accuracy and treatment efficacy for over 10,000 ADHD patients. FACES will be available in professional and consumer versions. Consumers will be able to purchase one or more tests ($15 average) for serial assessments of their attention during different times of day or on/off medication. Professionals will be able to purchase bundles of FACES via licensing agreements and incorporate it into a variety of ADD diagnostic and treatment protocols, for which they will be reimbursed directly from patients (via cash) or through insurance reimbursement. The initial target market for FACES will be overweight adults (over 100 million people domestically and 2.5 billion worldwide) who may be members of the greater than 30% of the obese population who we know have ADD as a possible root cause of their problem. The FACES ADD Screener will help these individuals determine if they are “at risk” for ADD and in need of a comprehensive diagnostic evaluation and intervention for this treatable contributor to overweight and obesity. Secondary target markets for application of the FACES ADD Screener will be parents of children/adults who suspect possible ADD and other populations that are at high risk for ADD such as struggling college students (<25% of ADD individuals graduate from college), individuals with chronic constipation (>40% incidence of ADD), and those with substance use disorders (as high as 80%). A subsequent target market will include adults and parents of children who are among the 8 million people in the US diagnosed with ADD and who are experiencing issues finding success with medication. The FACES Medication Tracker will help them determine if their medication regimen is in the “therapeutic zone”. Finally, with selective enhancements, and accompanying clinical protocols, the professional version of FACES will be marketed as a stand-alone ADD diagnostic/treatment aid. To make refinements to the prototype including using the device features coupled with existing technology from 3rd party vendors to assure that ambient testing conditions meet basic criteria and to conduct emotional tracking during a testing session. To assist us and our external research partners to design, interpret, and publish a set of tiered, longitudinal, normative and validation studies of the FACES in sample populations of our targeted markets so we can refine our product claims and receive FDA approval for various iterations of FACES applied to those markets. To refine our marketing strategy and to sequentially launch various iterations of FACES commercially into our target markets. Read more about our purpose and leading product, FACES (print summary here). If you are interested in receiving an expanded business plan for FACES, contact us. For more information about FACES, please Contact Us.